Hey everyone! 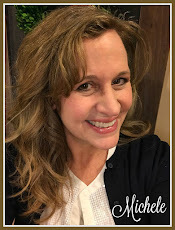 I'm so happy to be sharing a wonderful recipe with you today. 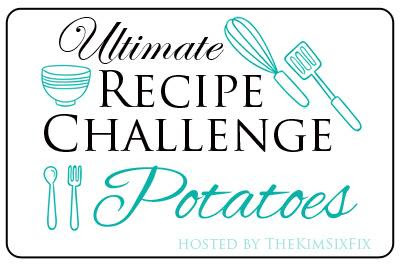 I'm joining up with the Ultimate Recipe Challenge today, where every other month we will be sharing original recipes we created including a themed food. 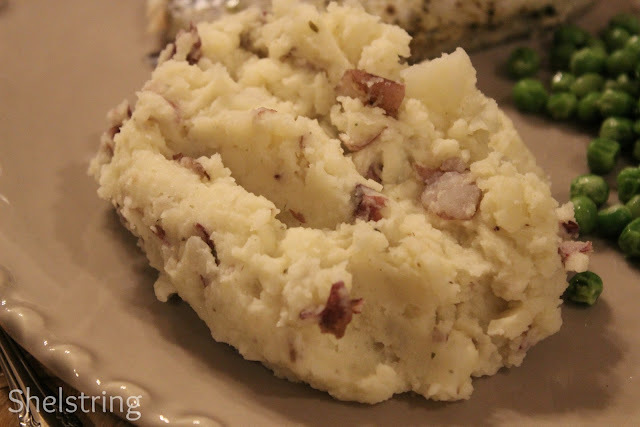 One of our favorite sides with any meat dinner are potatoes. 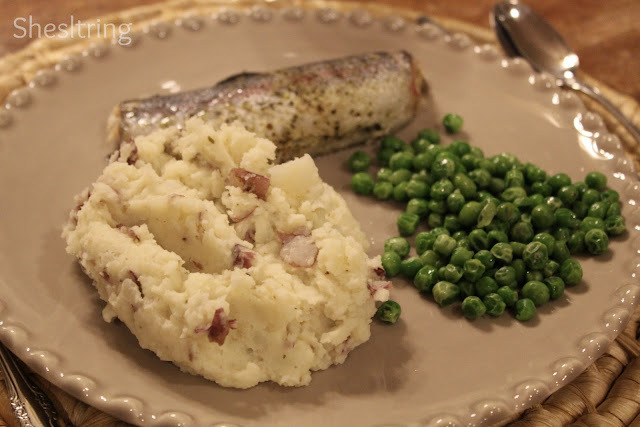 Each birthday we ask our children what they want their special birthday dinner to be. One year, my second son Tyler, asked me to grill steaks and make potatoes to resemble his favorite restaurant potatoes from Outback Steakhouse. Wow! This was a challenge I couldn't pass up. That's when I created the recipe to these potatoes. They are a hit every time I serve them! 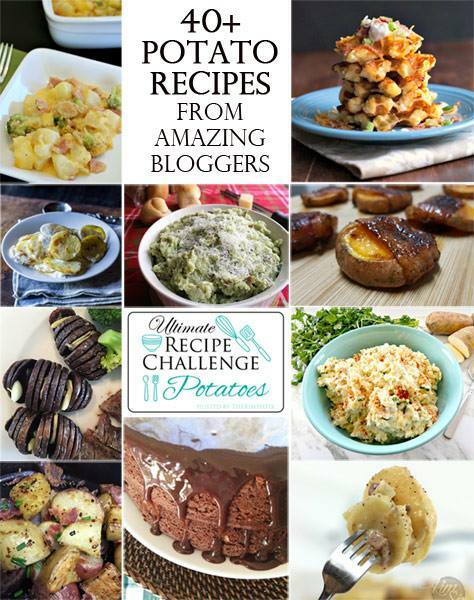 Who doesn't like a recipe that good? *WARNING: Some blurry pictures to follow. I'm sorry, they looked focused when I was shooting them, I hate to share them, but thought knowing what products to look for is easier to remember with photos! 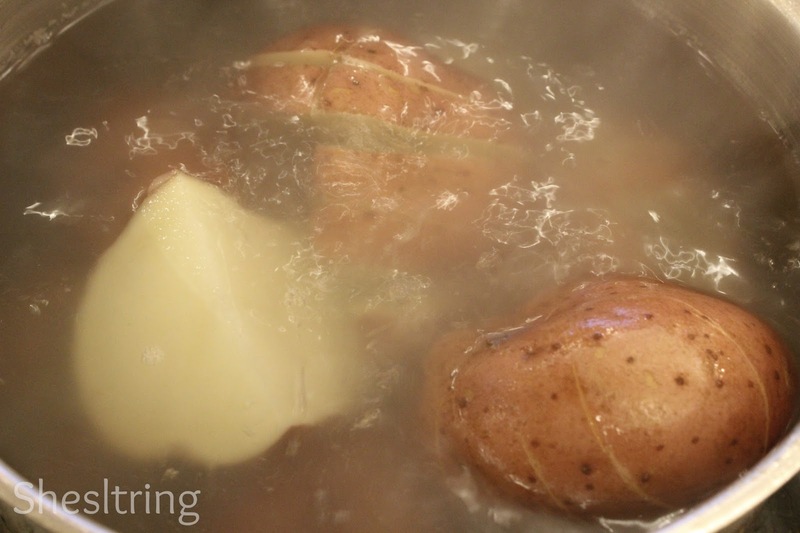 Boil potatoes until soft when stabbed with a fork. 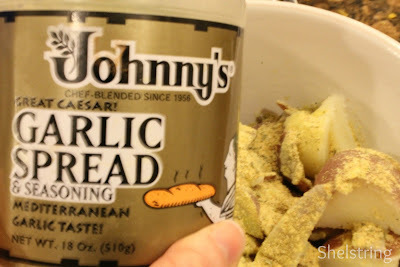 Season with Johnny's Garlic Spread. Add sour cream. Mix, adding milk slowly. Mix with beaters till creamy, but do not over-mix or they will be starchy. Serve hot with your choice of meat and vegetables. On this occasion, we had trout my boys caught. It was oh, so yummy! Now go and see what all my blogging companions cooked up, they look amazing! Be sure to be enjoying a nice dish of something though, because if you're hungry, your mouth will be simply watering. 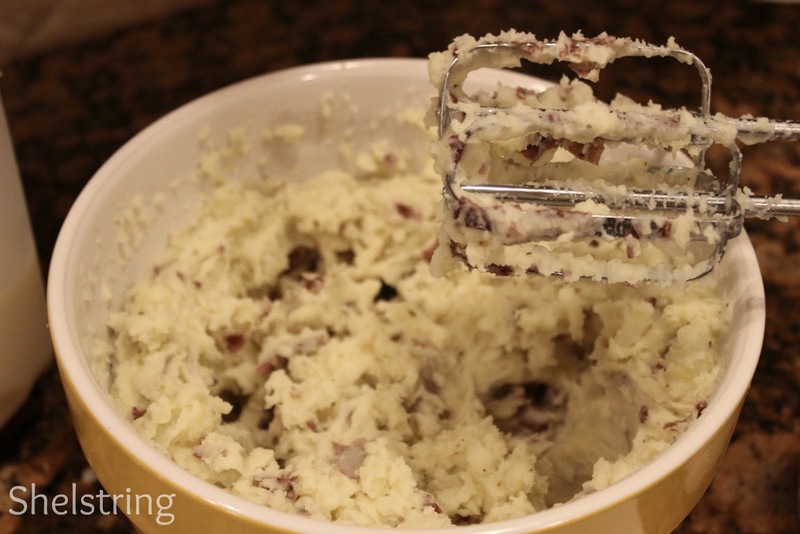 The best thing about a steakhouse is the mashed potatoes! You are making my mouth water! Michele, These look decadent and delicious. I never heard of this garlic spread. Thanks for sharing! Michele! Your potatoes look great. 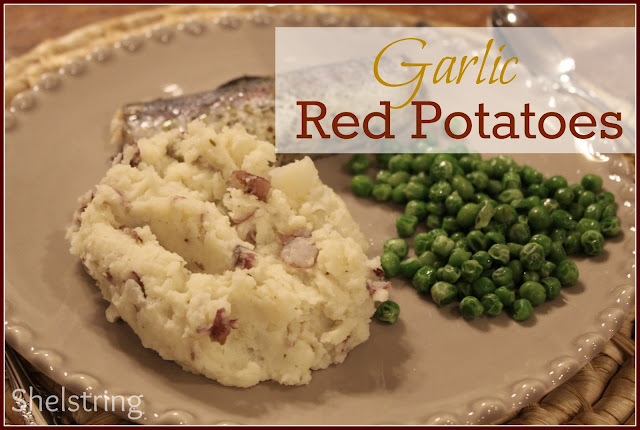 I can never resist garlic potatoes. I can't wait to try garlic spread. Thanks for the recipe. These look fabulous! I have that bouillon (because my friend encouraged me to buy it once) and never used it. 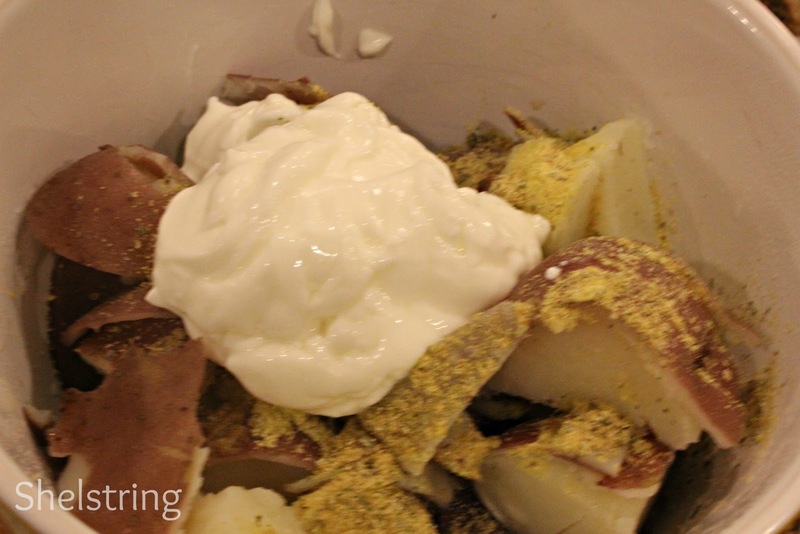 I'm so glad to hear you use it in your potatoes! I love making recipes using red potatoes. Your recipe looks delicious. I need to try it. Thanks for sharing! These look so yummy! 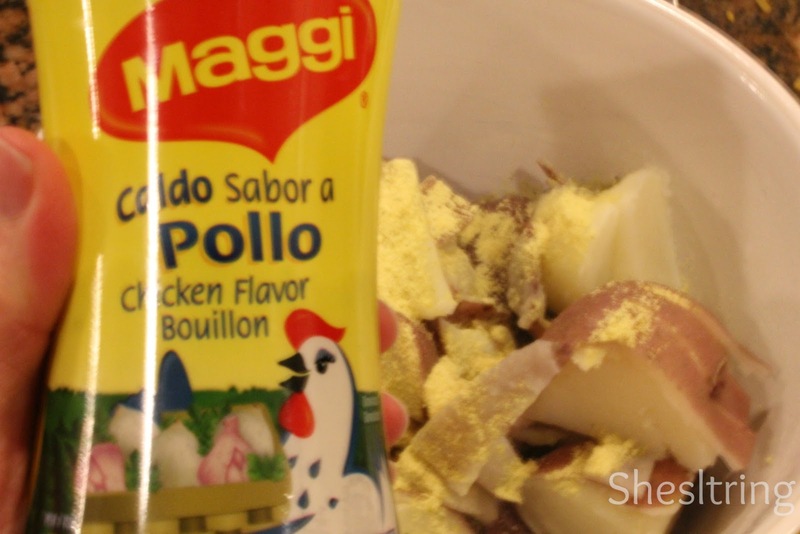 I would have never thought to add bouillon but will now! I can't wait to try this recipe! Sounds wonderful and looks great! I have never made garlic potatoes before. Thanks for showing me how easy it is!